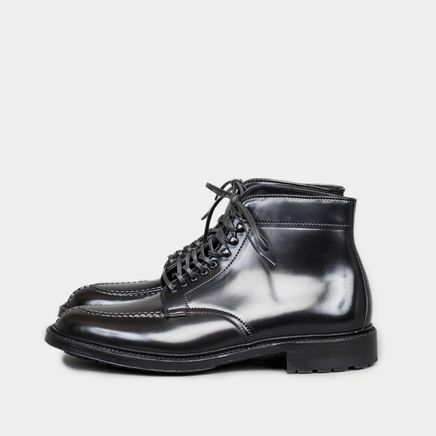 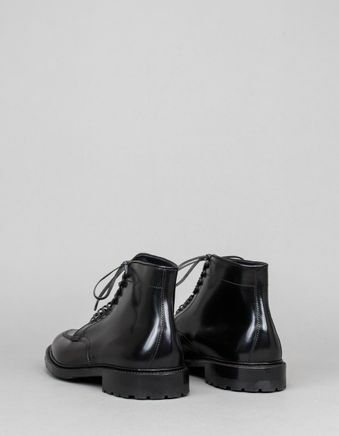 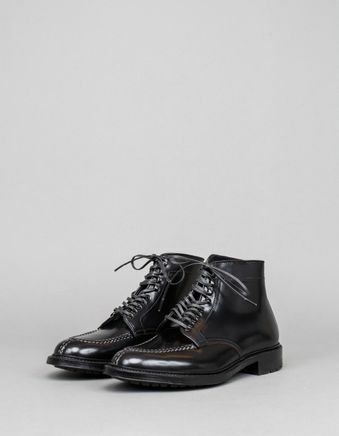 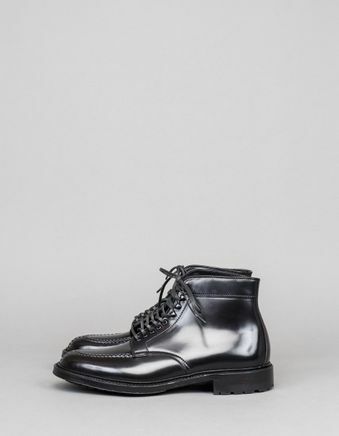 Cordovan Tanker Boot C-Sole from Alden. 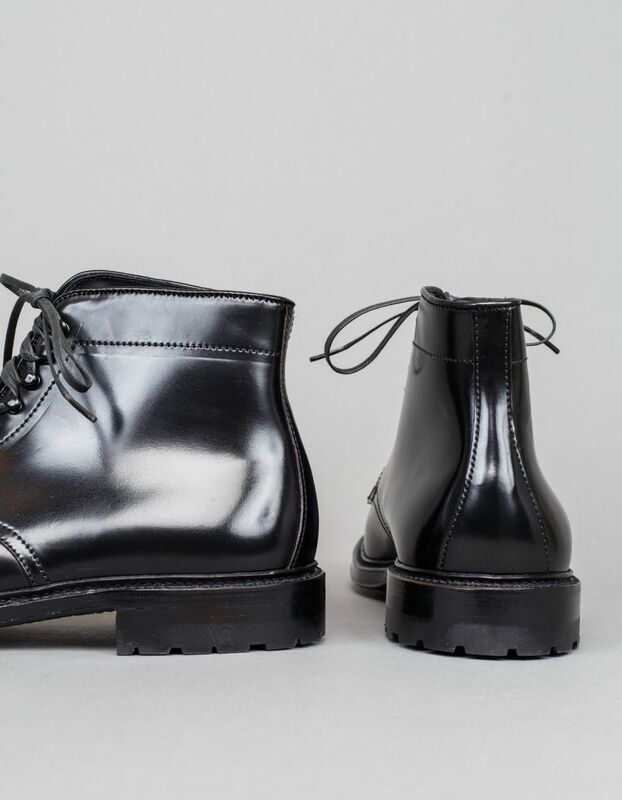 Heavy, black cordovan leather upper with 100% leather lining with leather facings at eyestays, back, and top. 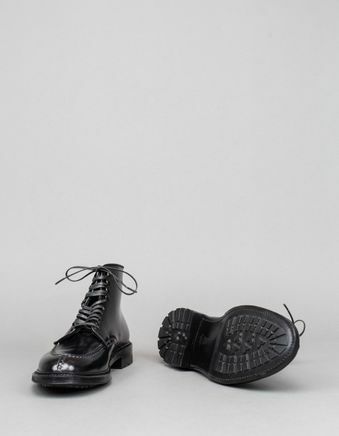 The outsole is a commando sole, with interior tempered steel shank from heel to ball for maximum support. 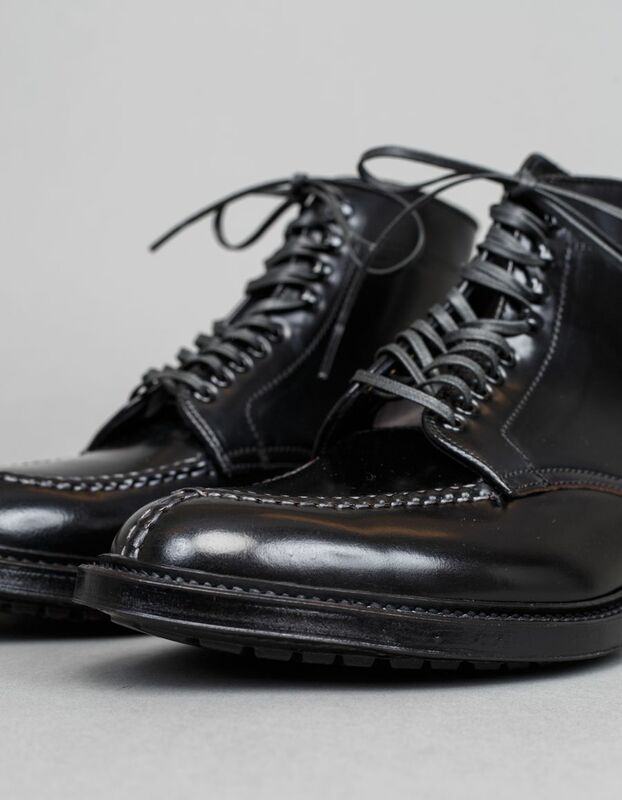 Goodyear-Welted construction.